En 30 Enero 2013, hemos hablado de la concepto de “Fraze Mowing” pasto bermuda con la nueva máquina Universe® rotor de la nueva Koro Field Topmaker. ¡La reacción y el intercambio de ideas fueron absolutamente increíbles! Nos parecía que estábamos en un potencial avance para el manejo de thatch. 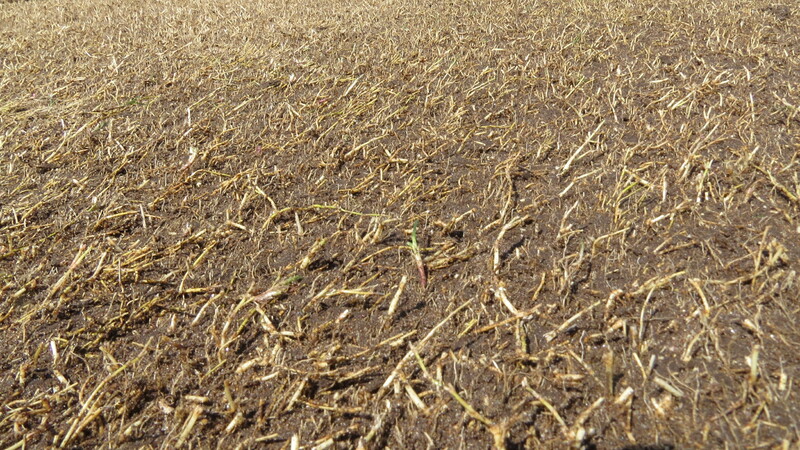 El ryegrass (Lolium perenne) fue eliminado, junto con el thatch, capa orgánica, y las semillas de mala hierba. Dejo atrás una capa de estolones y rizomas que inmediatamente generar hojas y comienzan a crecer lateralmente. El tejido de la planta restante, se crecen nuevas hojas en 4-7 días…inmediatamente mostrando una superficie verde. En un periodo de 14 a 21 días, el crecimiento activo tendrá la superficie del campo casi completamente cubierto con fuerte y durable plantas, lista para mantener tráfico pesado. “Fraze Mowing” aplana las ondulaciones en la superficie, haciendo la cancha plana como una mesa de billar. ¡En general, los resultados fueron absolutamente espectaculares! 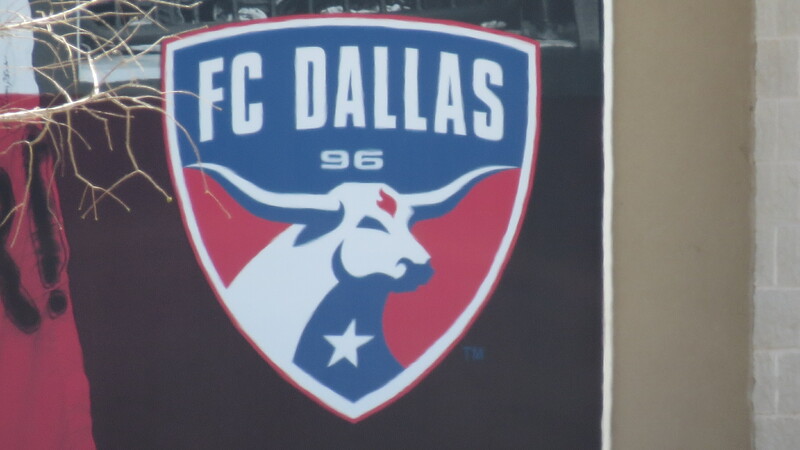 Las demostraciones que fueron durante el fin de semana en el FC Dallas Park, había tres canchas recibir el proceso de renovación Koro, (corte para limpiar el thatch, capa orgánica, ryegrass, semillas de mala hierbas/ suelo reciclar/ buen arrastre). Un campo “fraze mowed” con la nueva Terraplane rotor, haciendo su debut en EE.UU., los otros dos campos fueron limpiados con el Universe®, haciendo su debut mundial. Una vez que los campos se han limpiado, el KORO Recycling Dresser (suelo reciclar) permite que el aire a permear el perfil del suelo. El topdressing o topeo que la máquina de reciclar hizo, cubrió los estolones y rizomas muy bien y apoyo la regeneración más rápido. Sr. Allen Reed se hizo el primer director de campo de estadio profesional de alto nivel en el EE.UU. para usar el KORO Recyclying Dresser en un campo de estadio, siguiendo los gustos de Sr. Paul Burgess, director de campo para el Estadio Santiago Bernabéu (Real Madrid). MUCHAS GRACIAS a Sr. 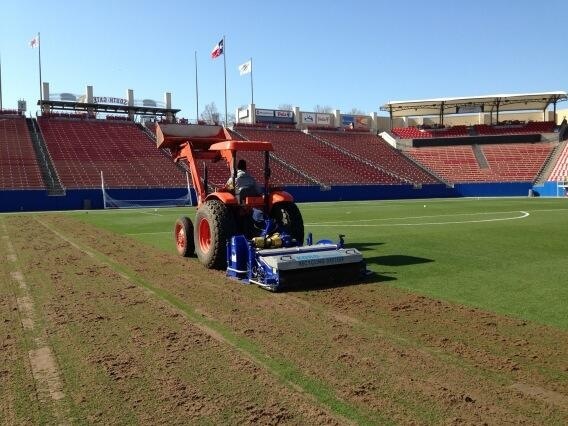 Miles Studhalter, Sr. Allen Reed, y Sr. Tom Jones de FC Dallas Park para creer en el concepto de “Fraze Mowing” pasto bermuda con la maquina Universe® que fueron los primeros en haber demostrado y funcionar. Su creencia y reacción ha sido esencial trayendo el concepto a la realidad. Eran convencidos que el practica de limpiar el rye grass, thatch, capa orgánica, y semilla de mala hierba provea una superficie más fuerte y más durable. ¡Muchas Gracias de nuevo para ellos, son los mejor de los mejores! Además, gracias a Sr. Joe Pemberton director de campo, instalación de entrenamiento a Manchester United, para proveer la reacciones durante el proceso. Joe estaba en le EE.UU. en una vacaciones breve y paso para observar el debut de la maquina Universe®. Fue un privilegio para ver a Sr. Pemberton, es completamente uno del mejor director de campos. ¡Gracias a él para permitir que nosotros hagamos tantas preguntas! Y definitivamente, unas gracias especiales a Imants BV (@ImantsBV) de Reusel, Holanda y Campey Turf Care Systems (@CampeyTurfCare) de Manchester, Inglaterra para el desarrollo una herramienta fantástica y creativa, el Universe®. El liderazgo de Imants junto con Sr. KO Rodenberg (KORO) y Campey Turf Care Systems está completamente cambiando el mantenimiento de campos de deportes alrededor del mundo. ¡Sr. Simon Gumbrill de Campey fue esencial para el debut de la maquina Universe® en Dallas, Tejas, gracias a él para tomarse el tiempo para venir a los EE.UU. para dirigir, ensenar, y nos ilumine a las nuevas ideas! Simon, ¡Muchas Gracias! En conjunto, las demostraciones de fin de semana fueron un éxito. 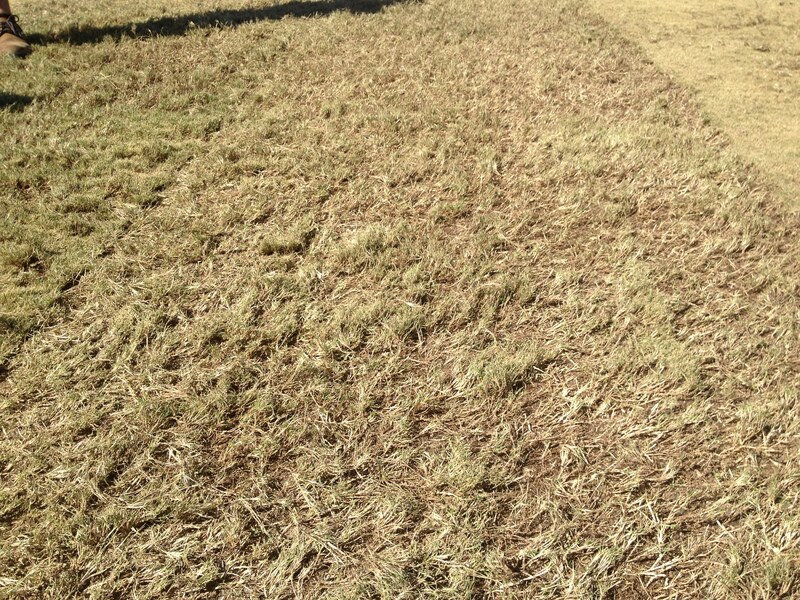 “Fraze Mowing” pasto bermuda con la maquina Universe® ya no es un concepto. Se ha convertido en una práctica de mantenimiento. ¡Gracias a todos por hacer posible! 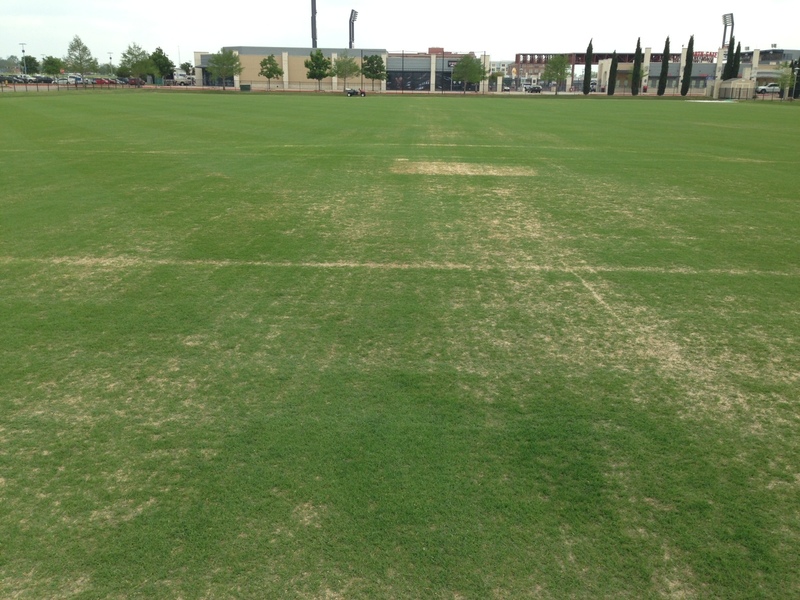 Its been 5 weeks since the Universe® KORO Field Topmaker rotor made its debut “cleaning out” bermudagrass in Dallas, TX. The weather could not have been more challenging for re-growth w/ the continued cold and prolonged bermuda dormancy period in the south. It is to be re-stated that when this process took place on March 24th, the 419 bermudagrass was still dormant. AND since, Dallas has experienced one of its coldest springs ever. The re-growth process has been slowed by frost several times … Yet still at 5 weeks w/ nearly dormant bermuda, the fields are to the point they are. The hypothesis of less than 14 days on active bermuda seems pretty safe at this point don’t you think?!? Welcome to the New World!! 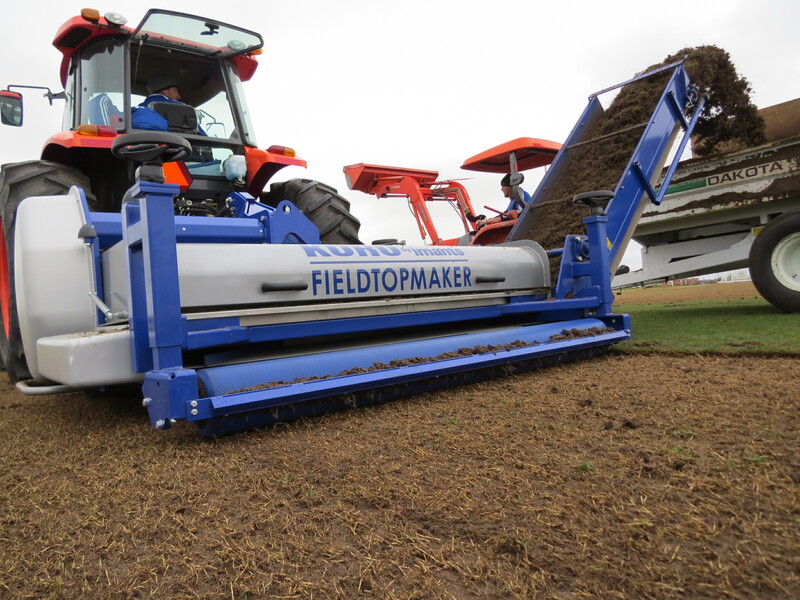 On Jan. 30th, we shared in a discussion about the “concept” of fraze mowing bermudagrass w/ the new Universe® rotor for the new Koro Field Topmaker. The feedback and idea exchange was absolutely fantastic! 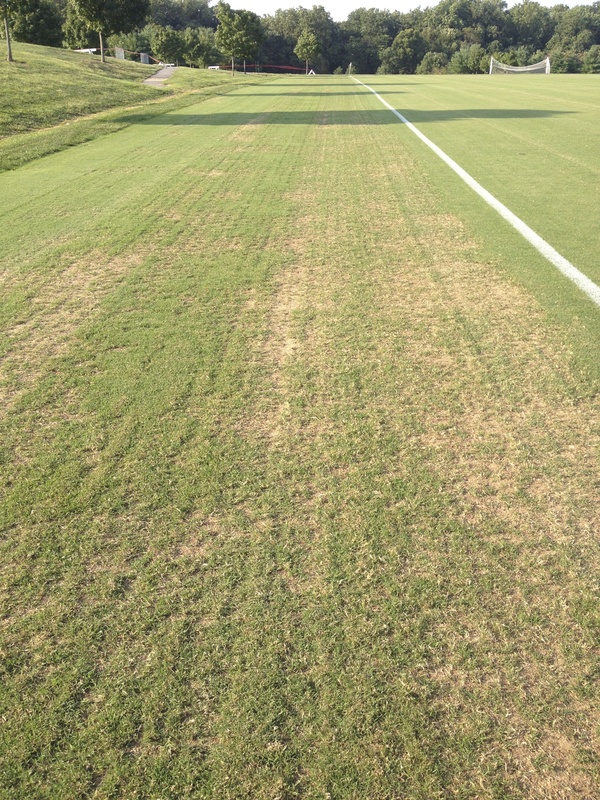 It seemed we were onto a potential breakthrough for bermudagrass thatch management. The rye grass overseeding was removed, along with the thatch, organic layer, and weed seed bed. Left behind is a mat of stolons and rhizomes that will immediately re-generate leaf blades and begin to grow laterally across the ground. 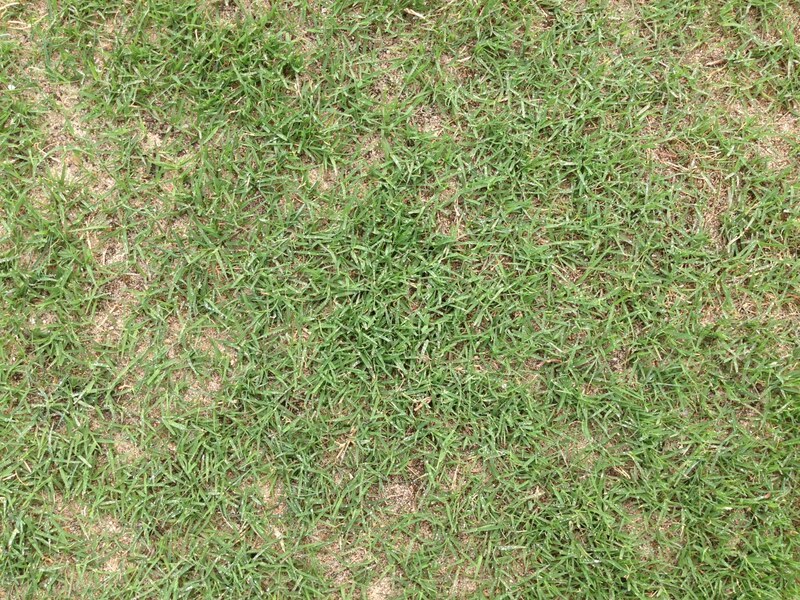 In bermudagrass weather (FC Dallas bermuda is primarily dormant for a few more weeks), the plant tissue remaining will push out leaves in 4-7 days.. immediately giving the field surface a green appearance again. Then within 14-21 days, active growth will have the field surface nearly completely re-covered with strong, durable plants ready to sustain heavy traffic. Fraze mowing also smoothed any undulations in the surface, making the fields as smooth as pool tables. Overall, the results were absolutely spectacular!! 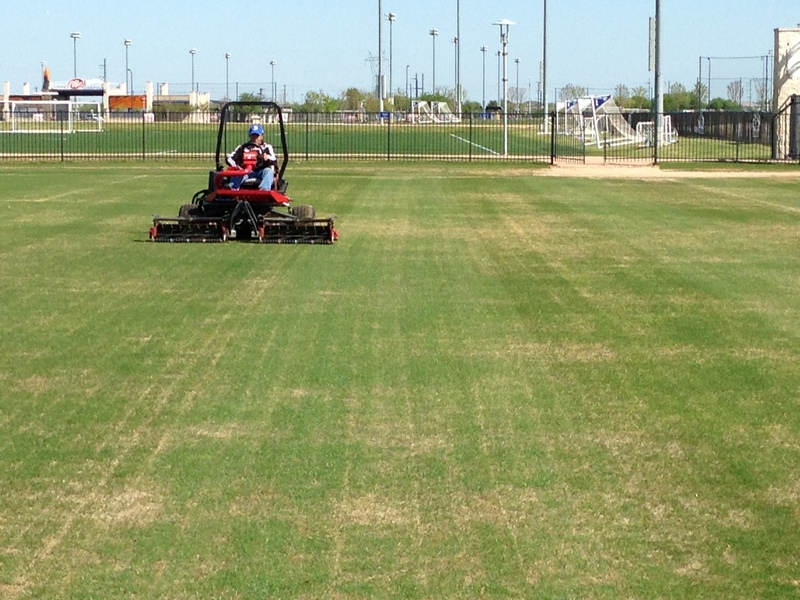 During the weekend demonstration, FC Dallas Park had 3 fields receive the Koro Renovation Process (Fraze mowed to clean out the thatch, organic layer, ryegrass, and weed seed/ recycle dressed/ smooth drug). 1 field was fraze mowed w/ the new Terraplane rotor, making its USA debut… then 2 fields were cleaned out w/ the Universe® ,making it’s world debut. 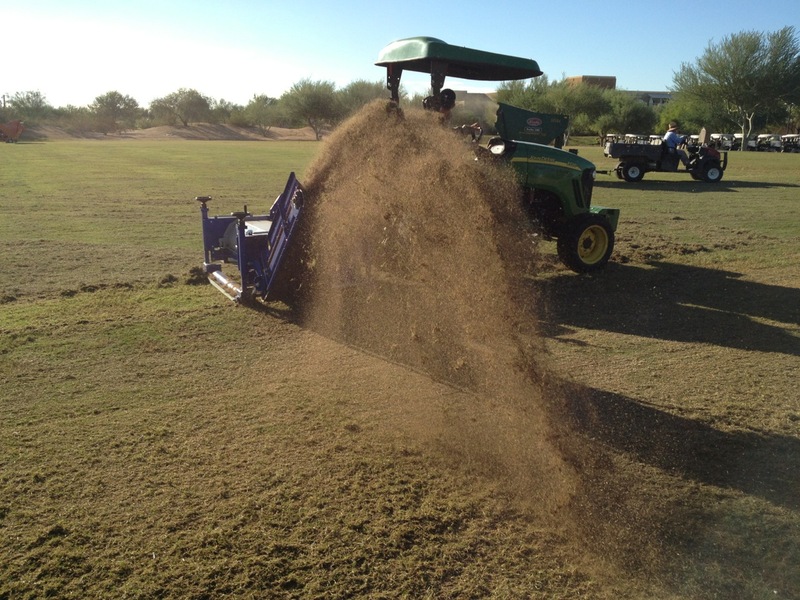 Once the fields were cleaned out, the KORO Recycling Dresser ameliorated the sand… allowing air to be infused back down through the profile. The topdressing the Recycler created covered the stolons and rhizomes, allowing them to be protected and encouraged re-generate even faster. Mr. Allen Reed also became the 1st high level professional stadium groundsman in the USA to run the Recycling Dresser on a stadium field, following the likes of Mr. Paul Burgess of Real Madrid’s Estadio Bernabeu. THANK YOU to Mr. 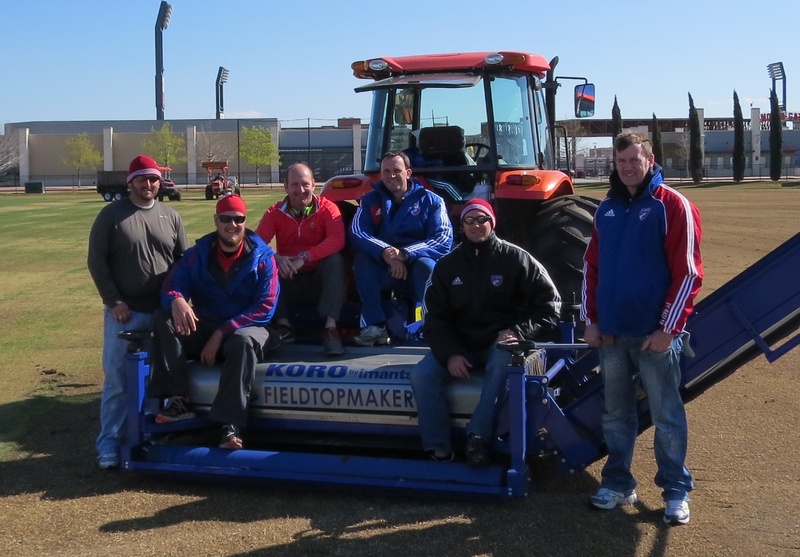 Miles Studhalter, Mr. Allen Reed, and Mr. Tom Jones of FC Dallas Park for believing in the concept of fraze mowing bermuda w/ the Universe® enough to be the 1st to have it demonstrated and performed. Their belief and feedback has been essential in bringing the concept into real life. They were convinced that the practice of cleaning out the rye grass, thatch, organic, and weed seed would provide a stronger, more durable playing surface going into the future. Thank you again to them.. they are the best of the best!! Also, thank you to Mr. Joe Pemberton, Head Groundsman of Manchester United’s Carrington Training Ground, for providing feedback during the process. Joe, in the USA on a short holiday, stopped in to observe the Universe® debut. It was a privilege to see Mr. Pemberton, he absolutely is one of the world’s very best Field Managers. Thank you to him for allowing us to ask so many questions! And finally, a very special thank you to Imants BV (@ImantsBV) of Reusel, Netherlands and Campey Turf Care Systems (@CampeyTurfCare) of Manchester, UK for the development of such a fantastic, forward thinking tool in the Universe®. Imants leadership, along with Mr. KO Rodenberg (KORO) and Campey Turf Care Systems are completely changing sports field maintenance around the world. Mr. Simon Gumbrill of Campey was essential for the debut of the Universe® in Dallas, thank you to him for taking the time to come across to the USA to lead, teach, and enlighten us to new ideas! Simon, Thank You! Overall, the weekend demonstration trials were a complete success. 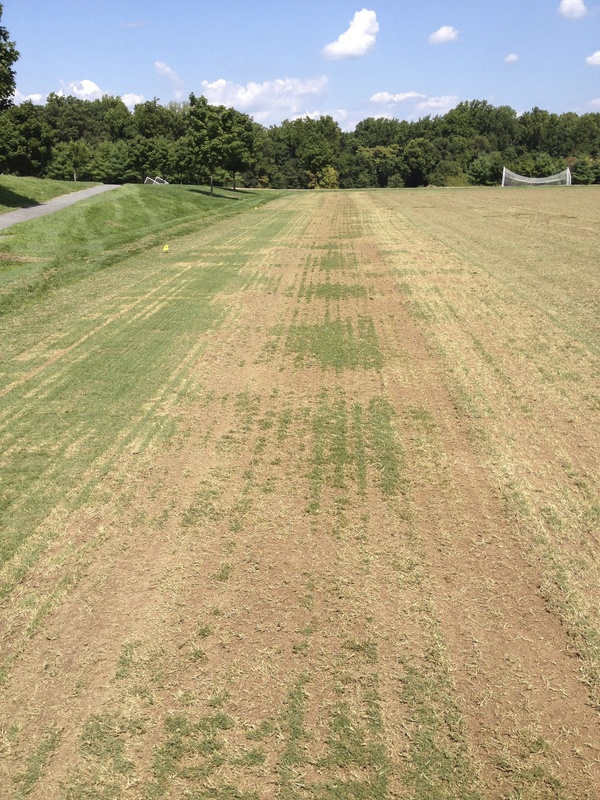 Fraze mowing bermudagrass w/ the Universe® is no longer a “concept”. It is now a developing maintenance practice. Cheers to those who helped make it possible! Fraze mowing is a process that has spread across the European field maintenance industry. 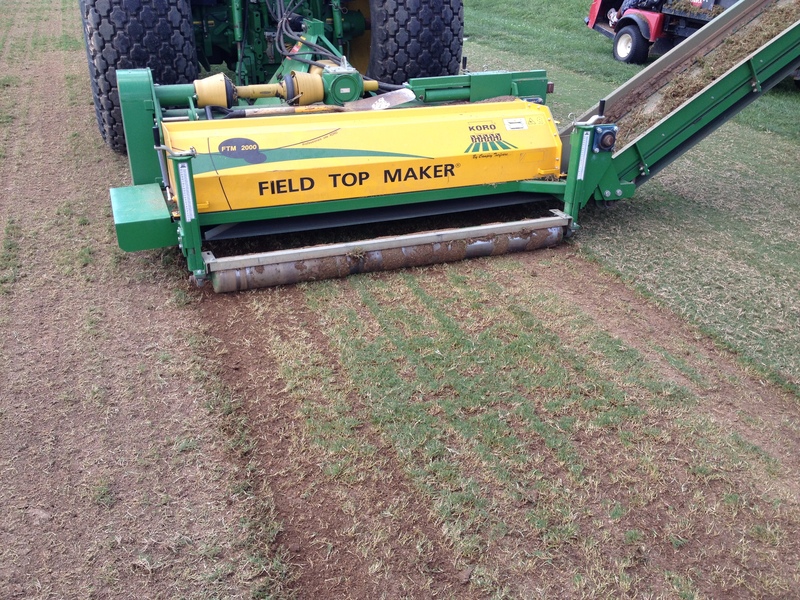 Fraze mowing is simple- using a Koro Field Topmaker, the top layer of the field is removed (1/4-1/2″ down). That removed top layer includes materials that can cause issues with a field…. detrimental build ups from a growing season are annually removed to create a better environment for plant strength and field playability. 3) Weed seed (including poa annua) is removed. Cultural practices such as core aeration, verti-cutting, sweeping, topdressing, etc clean out these “challenges” as well. The difference in these cultural practices v. fraze mowing is that the cultural practices slowly remediate the issues over time. Fraze mowing removes the issues immediately. Certainly the intentions with slow remediation are good… but likely the end goal never gets reached. With fraze mowing, the recovery time can be a bit longer… but the issues are completely fixed and the field is at full strength again. Fraze mowing with a Koro Field Topmaker is a process created for cool season turf grass, as European fields are primarily ryegrass. 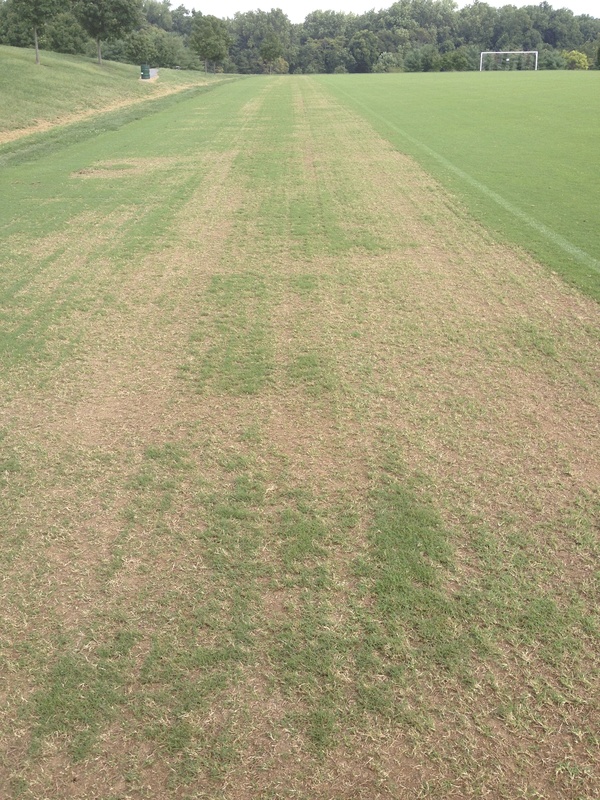 And fraze mowing, in conjunction with the entire Koro Renovation Process, has been revolutionary for cool season surfaces… creating a more durable surface free of poa annua and weeds. The results were dramatic with recovery… And no fertilizer or extra water was added to promote grow-in. The existing rhizomes started putting on leaves and runners nearly immediately, even in early September when day length was shortening and night-time temperatures fell into the 40’s by Day 7. 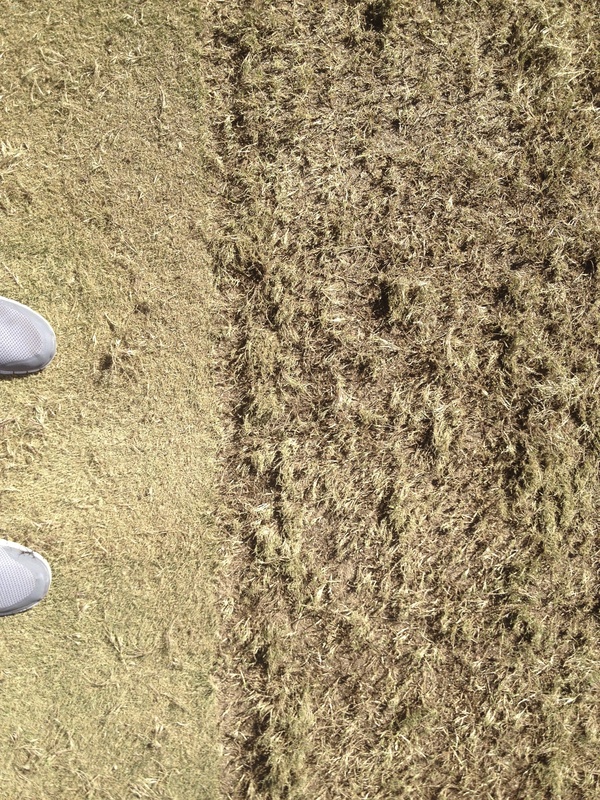 The experiment was to see how quickly the bermudagrass would re-establish w/out encouragement. Certainly it showed it is resilient! 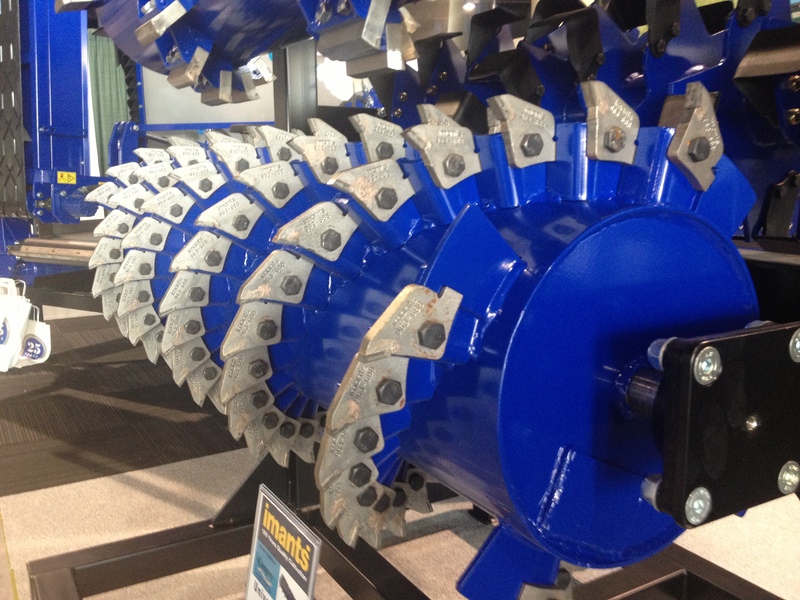 Campey Turf Care and Imants (manufacturer of the Koro Field Topmaker) then introduced us to the new “Universe” rota that had been designed for the Field Topmaker that has just come to market at the STMA Show in Daytona. 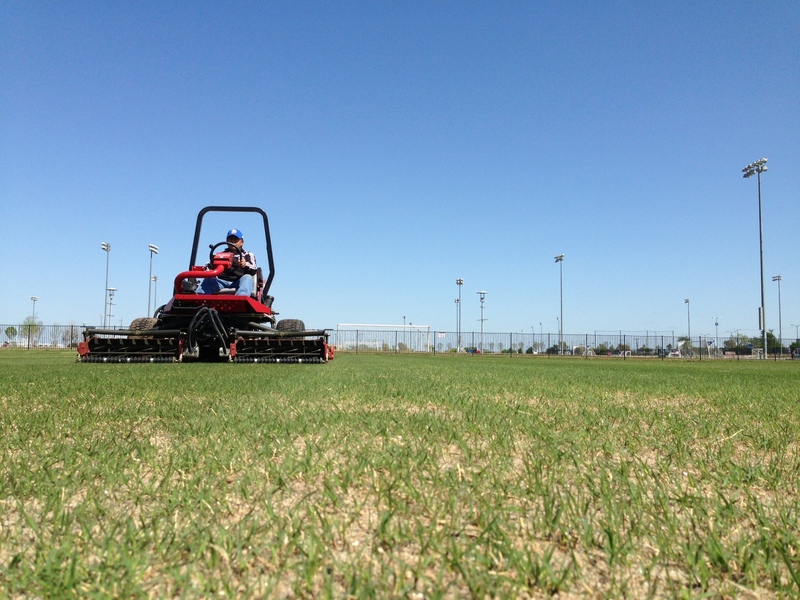 “Universe” was initially designed for fraze mowing Desso fields (sand fields sewed with synthetic carpet fibers). The cork screw motion and smaller teeth do not break off or pull out the synthetic fibers. Now the “Universe” has been introduced to the world via the winter trade shows in Europe and the United States. There are 4 “spirals” of teeth wrapped around the rota for a 100% removal of material. 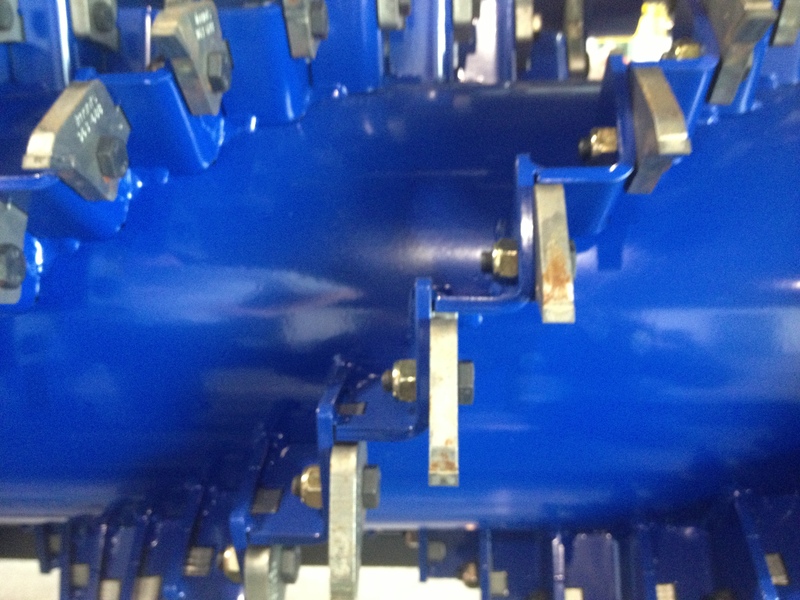 2 “spirals” of teeth can be removed to reduce the impact of fraze mowing and leave more material if the user desires. Closing Thoughts/ Personal Observations: Certainly there are challenges with fraze mowing with the “Universe” rota on a Koro Field Topmaker. The amount of material generated is going to be vast, especially the 1st time. Additionally, the availability of machines is limited. 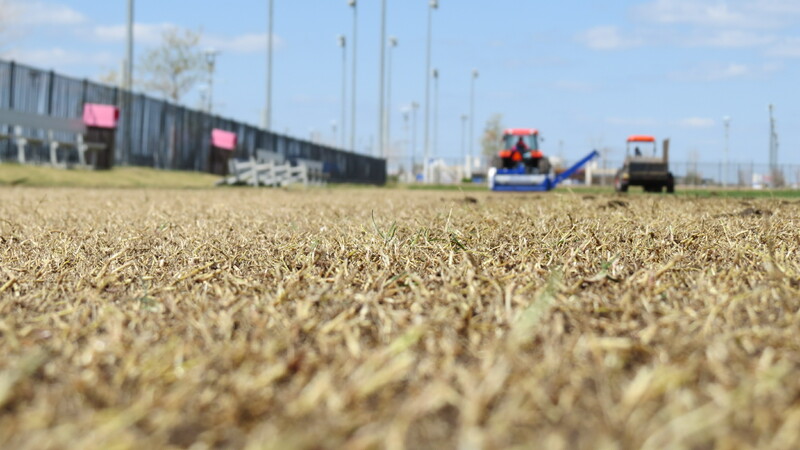 But ultimately, the biggest challenge to fraze mowing and “cleaning out” bermudagrass is that being so aggressive to a field will make any field manager nervous. It will create nervous administrators and users as well. But no different from world-class facilities such as Wimbledon, Old Trafford (Manchester United), Emirates Stadium (Arsenal), Manchester United’s Carrington Training Ground, Real Madrid’s Santiago Bernabeu, and FC Copenhagen’s Parken Stadium, United States fields can quickly adopt the aggressive approach and see a dramatic change in field quality just as those in Europe. “Cleaning out” bermudagrass by fraze mowing is absolutely a concept from the future that will revolutionize bermudagrass field quality and durability. Please share your thoughts and give feedback to whether you think it might fit! !